So far in 2018, the hardest challenge I’ve come up against is not diving into the large box of Tunnock’s Teacakes sat on top of our microwave. It’s not necessarily because they are my favourite treat in the world (although they do rank highly in my top biscuits of all time) but more the fact that they are so convenient. I have been officially vegan for seven days now and the worst part has been the lack of sugar in my life. Those fat globes of marshmallow and milk chocolate have been staring at me for days now and I can practically taste the stash of Galaxy hidden away in the cupboard. I didn’t realise up until now how much sugar I had been consuming before, because now I’m reaching for satsumas for kicks. If someone mentions how fruit is ‘nature’s candy’ one more time, I may lob an apple at their head. I’ve gone vegan, I’m not on a diet, okay? I’m taking part in Veganuary for a personal and professional challenge, and a week in, I feel as though I have turned a corner. Becoming bored with the same meals, I ignored my usual peanut butter porridge made with almond milk and decided to make vegan pancakes on a Saturday morning instead. And quite honestly, I was shocked at how fluffy they were without a single egg or drop of cow’s milk. The agave gives these pancakes enough sweetness without having to rely on caster sugar and the vinegar helps puff them up like clouds. 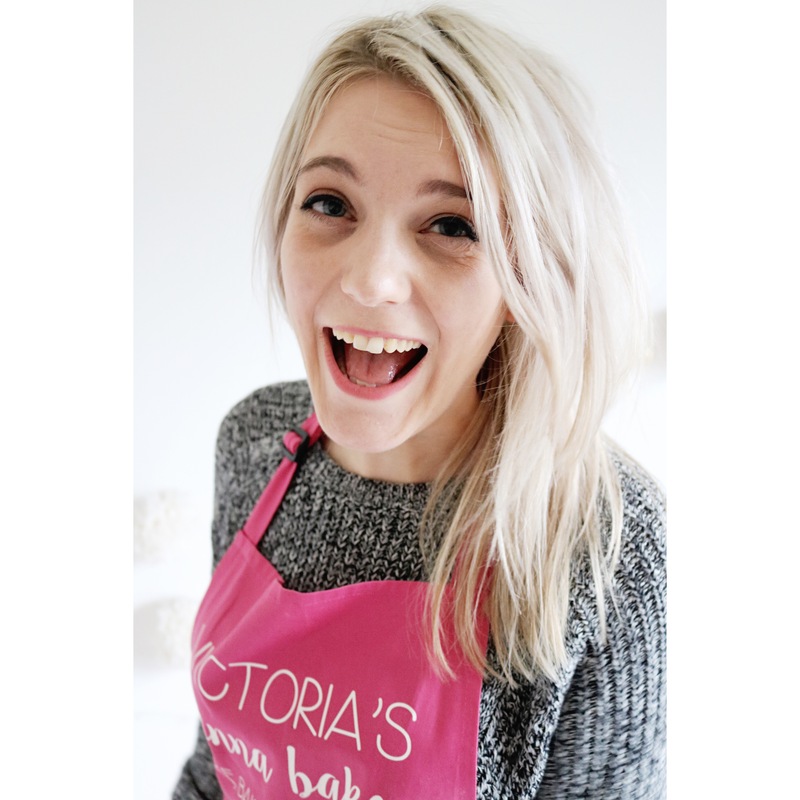 In just seven days, I’ve fallen in love with the magic of vegan baking. As I sat with my pancake tower, drizzling over as much agave syrup as I could get away with, I realised this challenge is going to be more about preparation than I realised. As soon as I picked up a few ingredients for vegan baking, I knew I had enough in my arsenal to make it to the end of the month without a trying to score a Ripple. Especially now that I have this pancake recipe in my back pocket – oh and the new vegan Ben and Jerry’s ice cream. That stuff is seriously addictive. This recipe makes enough for a sizeable stack for one or two smaller stacks accompanied by other vegan breakfast essentials such as fruit, Linda McCartney sausages or a tofu scramble. Add the flour, cornflour, baking powder and spices into a large bowl and whisk together. Add the remaining wet ingredients and whisk again until a smooth batter forms. Set to one side. Place a pancake pan or frying pan over a medium heat and grease lightly with a little dairy free spread or vegetable oil. Once hot, dollop a heaped tablespoon of batter into the pan and form into a circle. Leave to cook for around 20 seconds until it starts to bubble then flip over onto the other side. Cook for another 20 seconds then transfer to a clean tea towel and cover to keep warm. Repeat with the remaining batter. 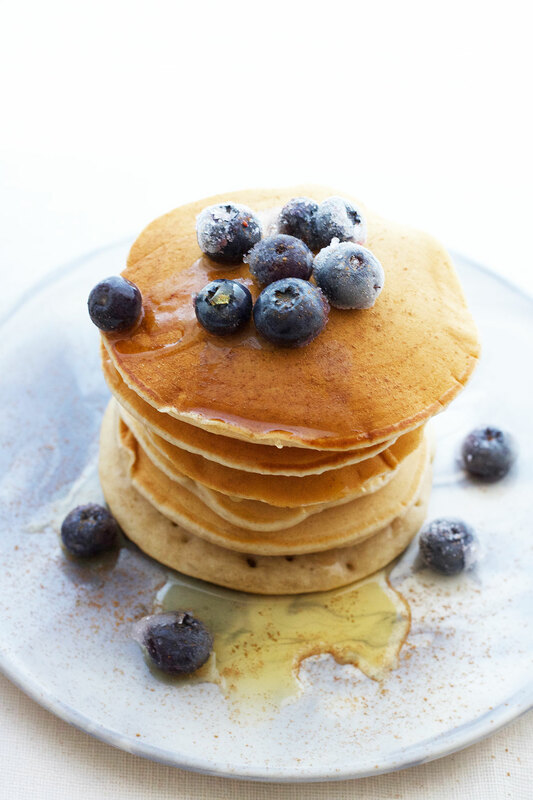 To serve, stack up the pancakes and top with the blueberries then drizzle over the syrup. These look soooo good! And vegan?! Amazing. I know right, they look like the ‘real’ thing and taste pretty delicious too! I can see myself making these even after Veganuary has ended! The addition of nutmeg sounds like the perfect touch! yum! I have never heard of agave syrup! You sure make Veganuary look really delicious! Will have to give these pancakes a try. Love this idea of Veganuary!!! So fun! Am trying to eat more vegan foods, so timing on this post is perfect. Also pancakes look delish—thanks for sharing! No worries Charlotte, I’m now halfway through and feeling the benefit for sure! These pancakes help curb my sweet tooth though when I’m really fancying chocolate and sweeties! Thats an interesting combination cinnamon and blueberries! I am not vegan but I do love try vegan recipes so I am gonna have to try this one to see how it taste:) Thanks for sharing ! It’s like a hug on a plate, honestly! I’ve already made them again with an apple compote and maple syrup and they were divine! This sounds like a great recipe. I always thought eggs and milk were a required pair of ingredients for any type of pancake. This shows that vegan alternatives do exist for most any type of food. I know, I was surprised myself! 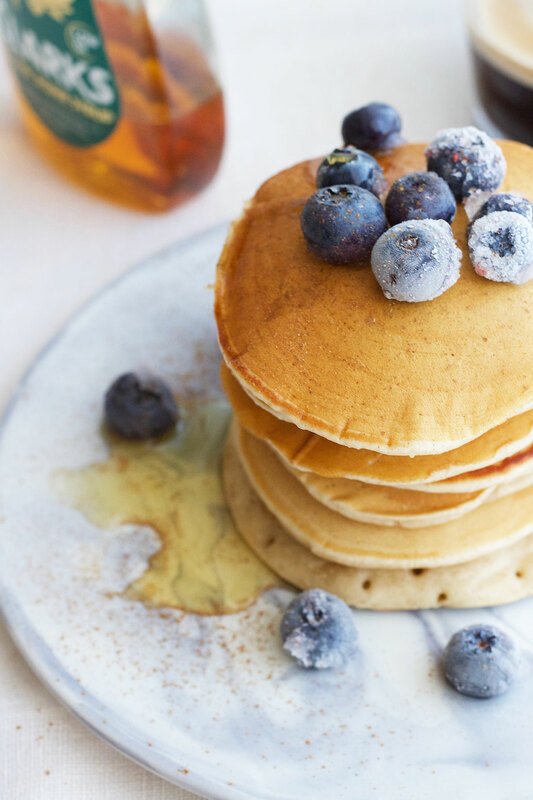 I think that even if I go back to a ‘regular diet’ after Veganuary, I’ll still make these pancakes as they’re so easy and don’t require loads of fresh ingredients! These looks delicious! Thanks for sharing! Hi! I think it is also called cornstarch in some places? I’m not 100% sure what you could sub it with, but essentially it’s used to thicken the batter. Hope this helps! These look and sound amazing, definitely gonna be trying this recipe soon! Thanks Yasmin, hope you enjoy them! 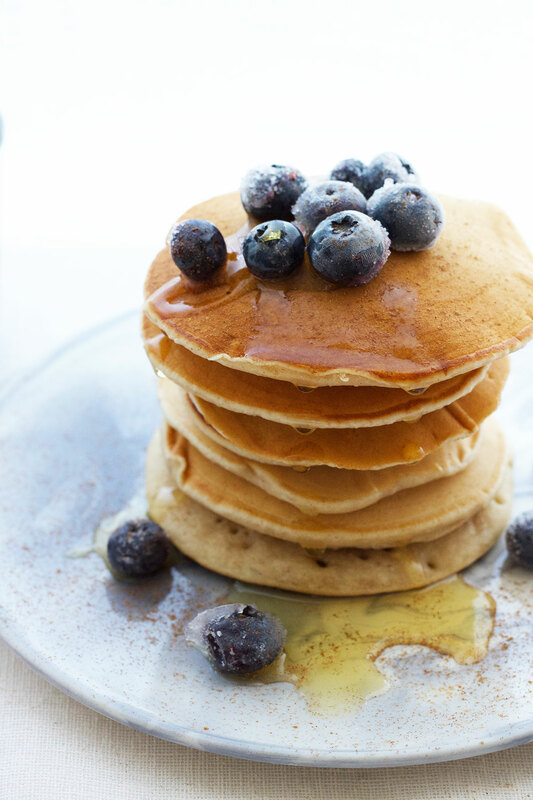 Ooh a stack of pancakes…these would be gobbled up in no time in our nest. Happy feasting.